Look at these beauties... The Kiwi's have done it again. 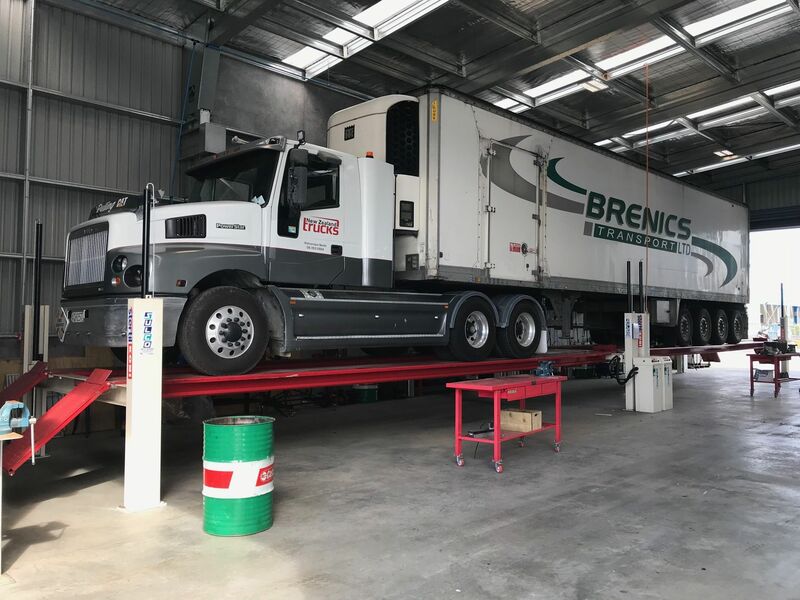 After the World's first semi recessed tandem SKYLIFT, SULCO Tools & Equipment have now tapped into the tandem ST 4120 market. The ST 4120 offers the perfect solution and offers the possibility to service vehicles with truck and trailer. 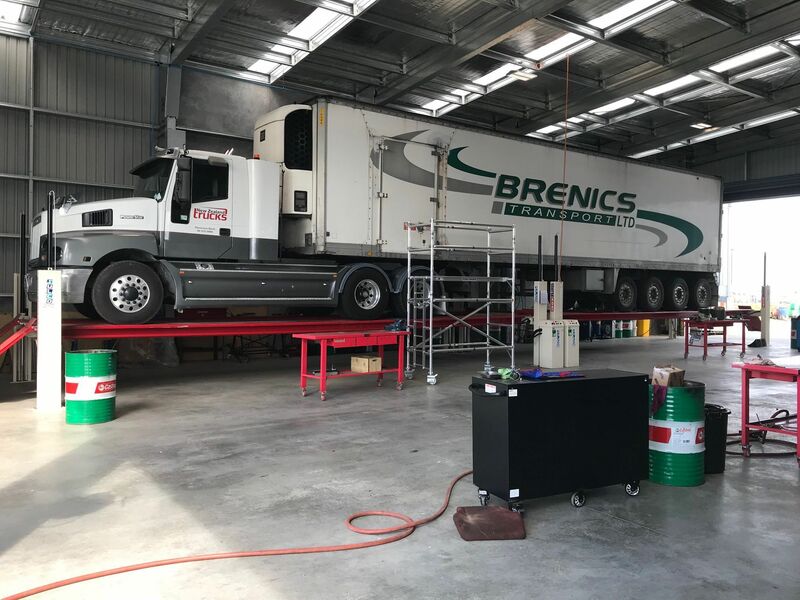 On the pictures you see 2 x 10m ST 4120 in tandem servicing truck + trailer combinations at New Zealand Trucks in Palmerston North. Each ST 4120 10m lift is able to lift 12-18t. Therefore, a tandem configuration gives the customer the possibility to lift vehicles between 24 - 36t. If you would like more information on the products mentioned in this article or any other products in the Stertil-Koni product range, please do not hesitate to contact the sales department.